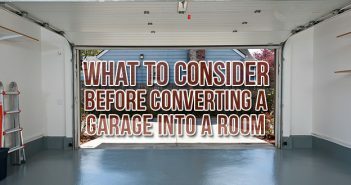 When it comes to remodeling your home, you can find a ton of information on what you should do but not so much on what you shouldn’t do. As a dumpster rental company we hear from many customers looking to rent a dumpster for their home remodeling project. Through our customers we’ve learned a lot about what not to do when remodeling your home. No one expects you to know everything there is to know about home remodeling, so don’t be afraid to enlist the help of a professional. You should be able to find a local contractor in your area who can help you or at least steer in the right direction when it comes to remodeling your home. Even if you do not want to hire someone, you should probably ask someone in the construction field for their opinion if you plan on doing a larger remodeling project. Budgeting is an important aspect to every type of project. While you probably think you did your homework on how much the materials will cost, there are always unforeseen charges during a home remodel. For example, you need to consider the cost of waste removal, labor, temporary housing, and much more. Sit down with a professional and they can help you come up with a realistic budget. Similar to setting a budget, you never want to underestimate the amount of time it will take you to get a job done. 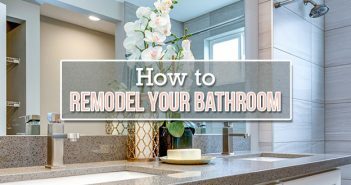 Just because you read an article about how to get a bathroom remodel finished in the weekend, doesn’t mean that will happen to you. Always give yourself plenty of time for a home remodel because you never know what could pop up. Rushing a remodeling job can end up costing you more money and compromising your safety. Remodeling your home is the perfect time to make your home into your dream home. Homeowners tend to shy away from what they really want because they fear the cost or they fear how long it could take. If you have a specific dream or vision for your home, talk with someone about it because it may be more attainable than you thought. 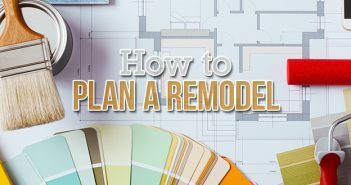 Home remodeling can be a large project and you never want to start before you’re ready. If you are having new appliances installed, you should wait for them to be delivered to make sure they’ll fit before you start hammering away. Once you knock down a wall, it can be tough if not impossible to get it back up. Do yourself a favor and wait until you have everything you need before you start any major part of your home remodel. I know this sounds pretty self-explanatory, but far too often homeowners find themselves in an emergency room after attempting a home remodel. Make sure you know how to use your power tools before you attempt using them. Also, it is important to make sure you have proper gloves and protective eyewear for all of your home remodeling projects. If you are working on high areas you need to ensure you have the proper scaffolding, ladders, and fall-protection materials in the home. Last but not least, you need look over your cities building codes and regulations before you start any part of your home remodel. If you are pouring a structural foundation, digging outside of your home, or installing electrical wires, you may need to have a building inspector on site to review for safety. To find out what your city’s building codes and regulations are, you can do a simple google search or search your city’s government website. Before you start your next home remodeling project, give Budget Dumpster a call. We can provide cheap and convenient dumpster rentals in almost any location. If you have any tips on what not to do when remodeling your home, leave us a comment below!